Oops!!! What I’d meant to say was, “I think I love beer more then you love beer.” You see, my husband is more of a whiskey and vodka drinker. But after my slip-up, he says he loves me even more. I preface this post with this story so you’ll understand part of the reason we drove 3+ hours on a Wednesday afternoon to attend a brewers dinner in Seattle. That, and my sister and her husband were also attending, and the event was hosted by their favorite neighborhood restaurant, Locöl, which dishes up some mighty tasty food at reasonable prices. 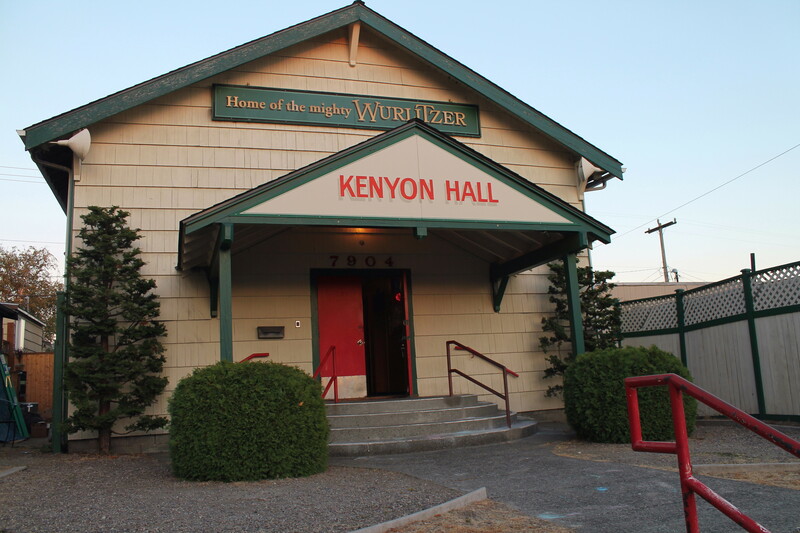 The brewers dinner was actually held next door to Locöl at the historic Kenyon Hall, which provided a Vaudeville-esque environment for the evening. 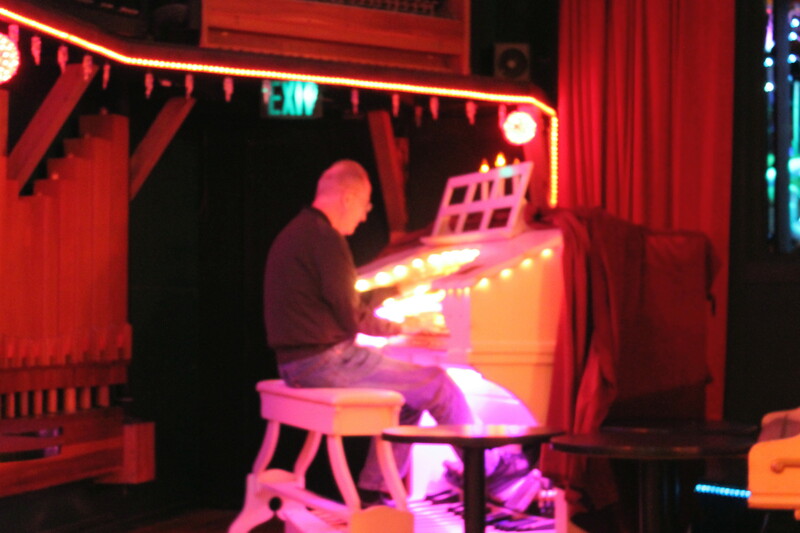 The hall’s manager even made a brief appearance to play the mighty Wurlitzer. 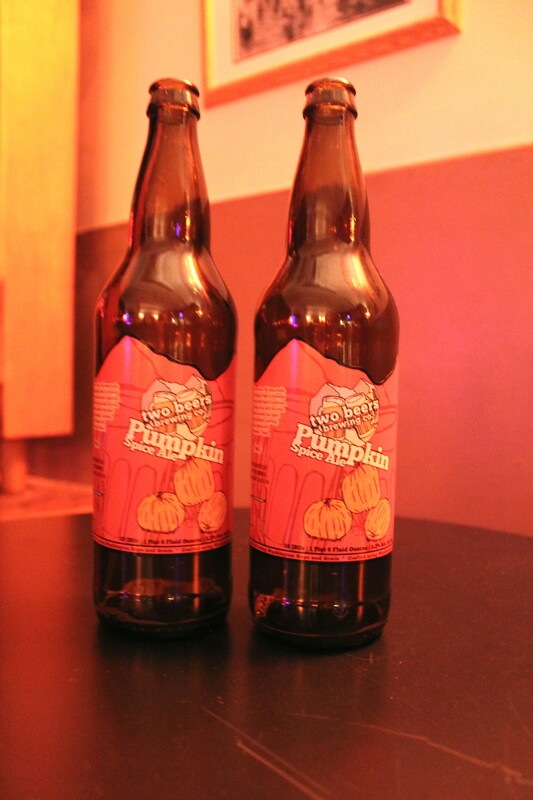 Their seasonal Pumpkin Spice Ale, a pale ale brewed with cinnamon, nutmeg, allspice, clove and pumpkin pie spice. The added flavorings gave the brew a great depth, and it was one of my two favorite beers of the evening. The 20:20 Blonde Ale is one of the brewery’s oldest creations, and was actually the first keg they sold to a local bar. It is duly named “20:20” for its near-clear composition, in contrast to the brown ales and IPAs that are commonly found in Seattle’s craft brews. This was my husband’s favorite beer of the night. I think he told me that at least a half-dozen times. The chipotle-infused Evolutionary IPA was my other favorite. It tasted like hoppy adobo sauce in my opinion, and had a hint of spice. If you like adobo sauce and hoppy beer, then I’d wager you’ll love this beer. Finally, we sampled their seasonal Heart of Darkness Cascadian Dark Beer. This was a heavy beer, and likely would be enjoyed by Guinness enthusiasts. The food was on the healthy side, but rather tasty and nicely complimented the beer selections. 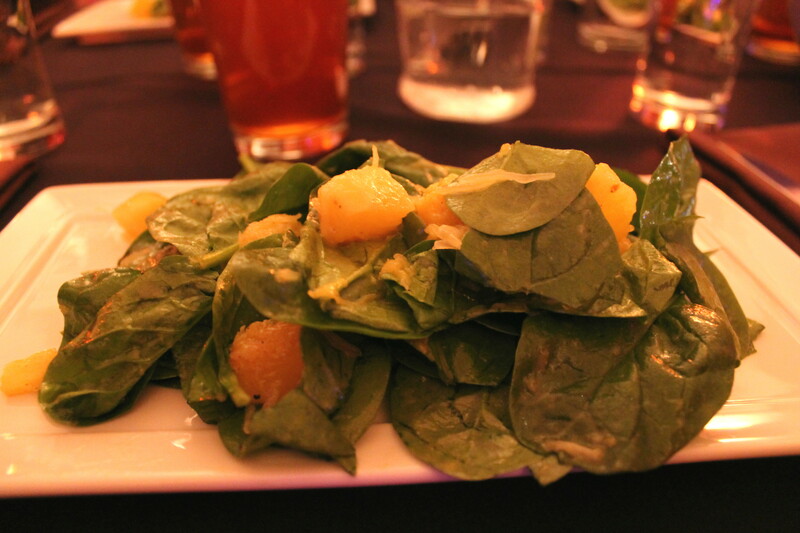 For starters, we had this Roasted Pumpkin and Acorn Squash Salad with an apple cider vinaigrette. Course two was a salmon ceviche served in a shot glass. The main course was jalapeno corn cakes with grilled flank steak, although Chef Charlie kindly made me roasted vegetables with a balsamic glaze since I don’t eat red meat. 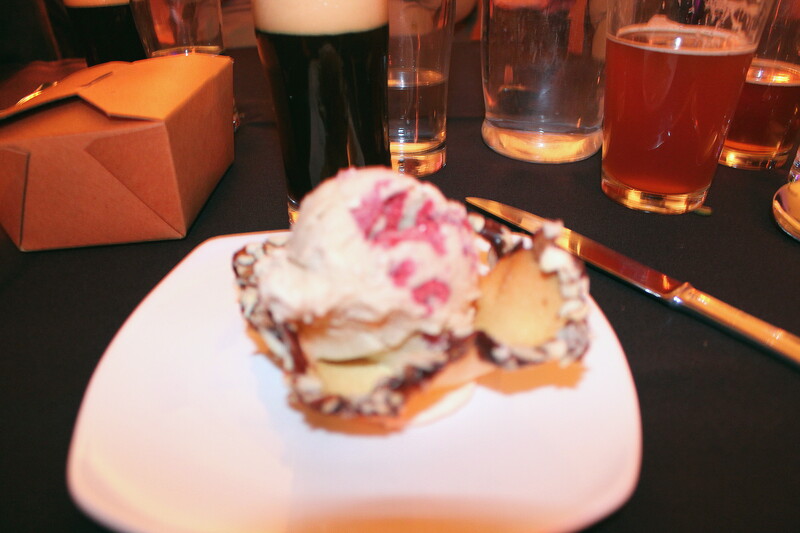 My favorite course was dessert: raspberry hibiscus ice cream in an edible almond cookie bowl. Apologies for the less-than-stellar photo, but it was taken after four beers. Notice how the beers are in focus, but everything else is not. Locöl plans to host either a brewers or winemakers dinner quarterly. It’s definitely worth the 3-hour drive from Portland, and they’re a bargain if you’re already in Seattle. This entry was posted in Restaurant Reviews and tagged beer, breweries, craft beer, food, restaurant reviews, seattle. Bookmark the permalink. Thatis a pumpkin beer that I haven’t seen. Will have to add it to the list! Yes, it is definitely one of the best pumpkin beers I’ve had!